1. 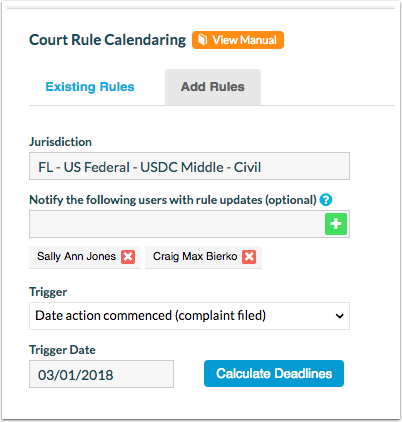 Go to the matter you'd like to add the court rule for and then click on 'court rules'. 2. View the the 'Add Rules' tab, the jurisdiction will be set to your 'default' jurisdiction that you've selected in 'Settings'. 4. Review calculated events, select those or all that apply. You can select all events but selecting the tab next to description. Click 'Next Step'. 5. Configure event owner, attendees and time individually or in bulk. 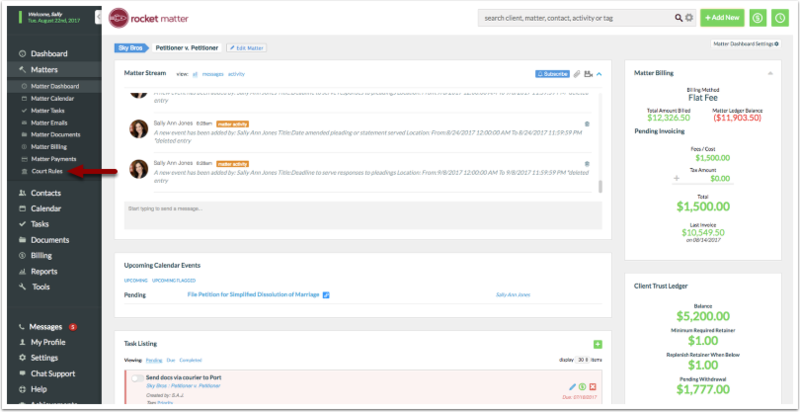 Click 'Setup Needed' to setup a specific event owner, attendee or time. 6. Use the 'Bulk Setup' to assign a event owner, attendee and click 'save'. 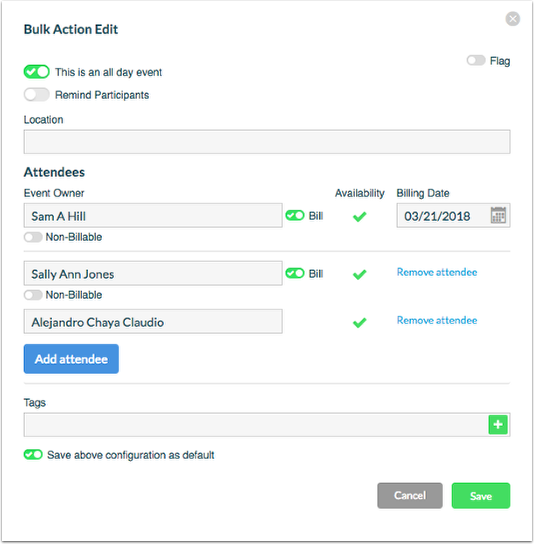 Save above configuration as default - Use this feature to save your selected event owner and attendees for all added calendar events through the LawToolBox integration. 7. Click 'Add events to matter'. 8. View your 'Existing Rules'. Prev: How to activate your free trial for your account. Next: How to setup an automated recurring billing plan.